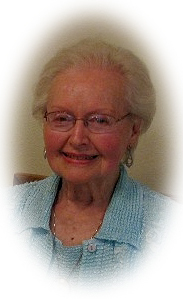 June A. Herr, aged 90, of Port Washington, WI, formerly of Sheboygan, WI was reunited with many beloved family, friends and cherished pets when she passed away peacefully the evening of March 28, 2017 in the company of her family at Ellen’s Home Assisted Living. June, the youngest of three children, was born in Maywood, IL on August 4, 1926 to Harry and Madelin Lapsley. She graduated from Lakeside High School in Chicago, IL and attended comptometry school and was working as a comptometer operator when she met and married the Dr. Charles J. Seifert. They relocated to Milwaukee, WI in 1950 where she worked for Square D while Charles attended dental school at Marquette University. In 1952 the couple moved to Sheboygan, WI. where Charles started his dental practice and the couple raised their three (3) daughters (Cheryl, Diane and Ruth). They also spent a year in Arcachon, France while Charles served in the military. In 1964 June married Eugene A. Herr (daughter Linda) and together a few years later were pleasantly surprised by the arrival of a son (E.J. Herr) when June was 46 years young. June and Gene spent many joyous years together, and were married for over 41 years when Gene passed away at the age of 80 in 2005. June supported many charitable organizations throughout her lifetime and was a member of the Sheboygan Community Players and Grace Episcopal Church. She volunteered at the Sheboygan County Humane Society, Meals on Wheels, worked as a matron for the Sheriff’s Department and a teacher’s aide for both her son’s elementary and middle schools. She loved spending time at her former home in the Town of Sheboygan at which she resided for over 45 years. There she raised her children, she loved to work in the gardens and yard, playing with her dogs. She and Gene hosted and entertained many family members, friends and visitors. She enjoyed singing and dancing. She spent the past eighteen (18) months at Ellen’s Home Assisted Living where she felt safe, was able to maintain her independence, enjoyed the company of the skilled staff and received loving, comprehensive and dignified care from them. She, and her family members, made many new friends among both the staff and residents and often engaged in the many stimulating and entertaining activities offered. June is survived by her daughter Cheryl Kasper of South Carolina and her children Nathan Campbell of South Carolina, Aaron Campbell of Wisconsin, Katie Campbell of Oregon, and Belinda Campbell of South Carolina, daughter Diane Ryan of Wisconsin, son E.J. (Jennifer) Herr of Wisconsin, grandson Roderick Schimek of California and step-daughter Linda Mand of Wisconsin and her children Wendy Rodgers and Mark Mand both of Wisconsin. Further survived by her brother Donald (Marion) Lapsley of Arizona along with her many great grandchildren, nieces, nephews, cousins and friends. June’s life was filled with love, and she provided the same to so many in return… She will be dearly missed by all. She is preceded in death by her husbands Dr. Charles J. Seifert and Gene Herr and daughter Ruth Caravella. A memorial service will be held at 1:30pm on Sunday, April 2, 2017 in the chapel located in the Holy Cross Cemetery Mausoleum 3909 South 12th Street Town of Wilson – Sheboygan, WI prior to inurnment. The family would like to extend special thanks the to the exceptional care givers and staff at Ellen’s Home Assisted Living of Port Washington, the physicians, nurses and staff at Aurora Medical Center – Grafton, WI and the compassionate nurses and care givers with Horizon Home Care & Hospice. Previous Post: Roden, Gladys S.
Next Post: Brumm, Holden R.
June always brought a smile to my face with her wit and humor. She has a twinkle in her eye that will remain in my heart ❤️ forever!! !